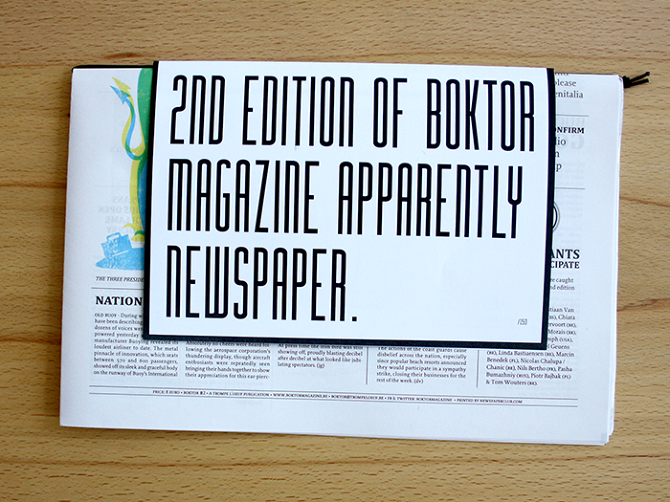 "Boktor is a collaborative magazine made by international artists. Each issue we scout for artists in many fields of art - illustration, graphic design, poetry, prose, embroidery, welding, yoghurt juggling, cheese making, lion taming - to create a spectacular magazine around a specific theme. 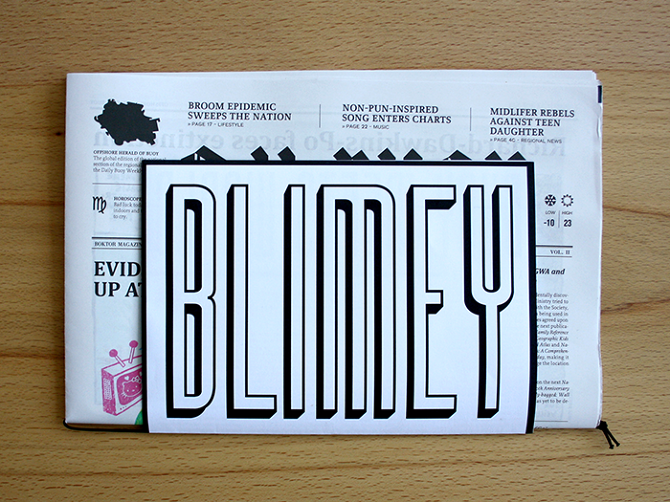 The packaging and graphic design adapts itself to that theme; one time Boktor is a newspaper, the next it could be a set of postcards or a live event. Our goal is to create a platform for upcoming artists and to challenge their creativity. For this issue of Boktor Magazine we came up with Buoy, a natural reserve turned sovereign island. We provided our participants with a detailed backstory, on which they were encouraged to build. Since the sudden existence of a new country is big news, it was only logical that we bundled and published everything in the Offshore Herald of Buoy, the national paper of the island. We also created animated news broadcasts featuring our very own reporter Will Do, who brought us up to speed regarding recent developments. 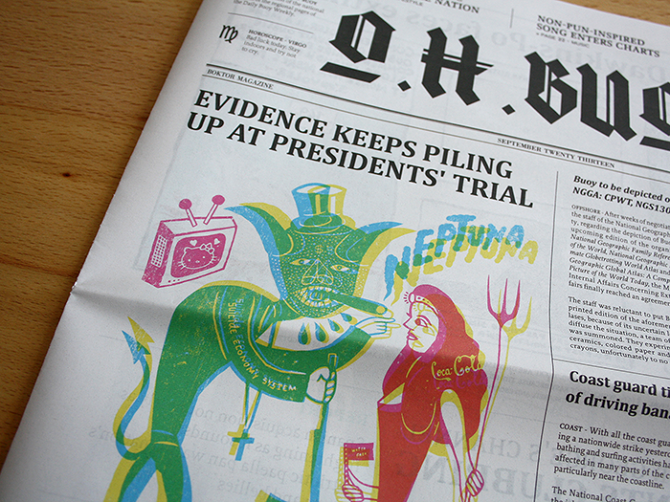 We were impressed with the print quality and service of Newspaper Club!" To get your own copy, order from the Boktor website, and join in with the next issue, which will be called "NO REGERTS" (a collection of images & stories about regrettable tattoos).